A beautiful, high floor, light-filled, three-bedroom home with three glorious exposures showcasing East River and Manhattan Bridge views on an iconic block in the heart of DUMBO. The residence features an impeccably designed open kitchen with gleaming white Caesarstone counters, ample custom cabinetry, stainless GE Profile appliances and a dining island. The kitchen opens to a spacious living/dining area with mesmerizing northeastern views of the East River. The living area separates three generously proportioned bedrooms. The master suite has glorious southeastern light and easily accommodates a king-sized bed. 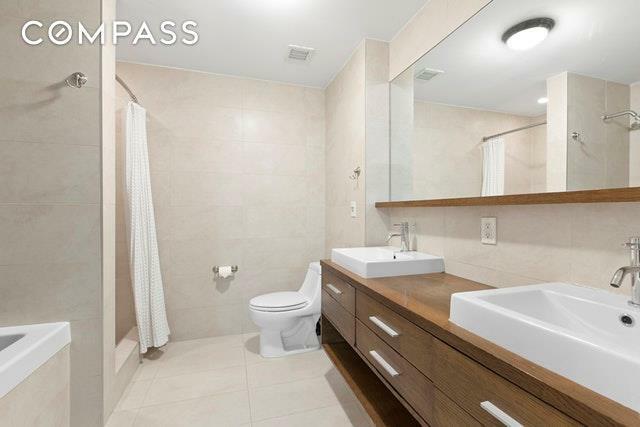 Large closets frame an immaculate en suite bathroom with separate bathtub and shower, and a lovely double vanity. The large 2nd bedroom has open south and east exposures, great length and a large closet. The spacious third bedroom is near the 2nd full bath and a laundry closet with top of the line full-sized washer and dryer. 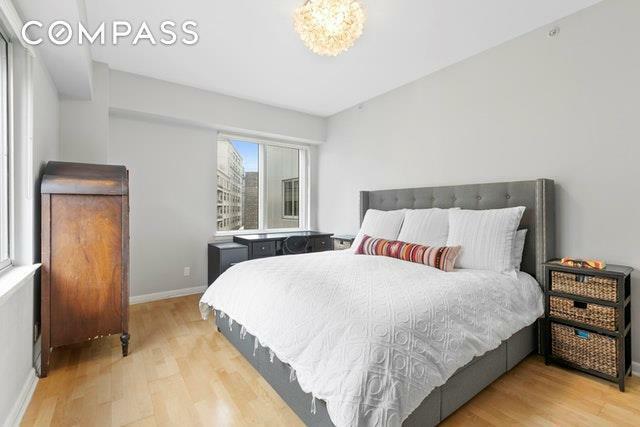 The apartment has high ceilings, hardwood floors, soundproof windows, fantastic light, and wonderful custom fitted closets & storage throughout. 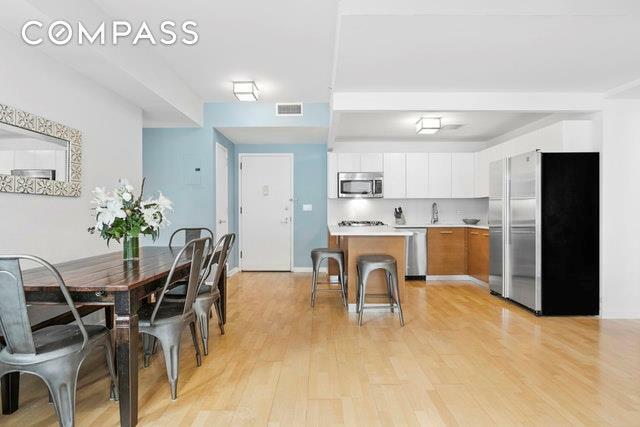 The well-located part-time doorman building is a half-block to Brooklyn Bridge Park and all of the neighborhood's wonderful stores and restaurants. 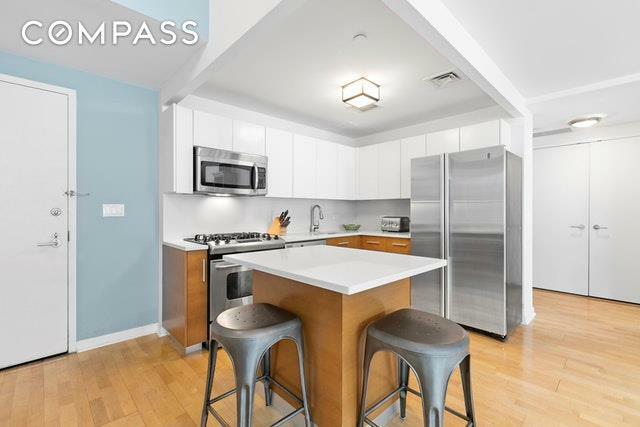 The condominium features a resident superintendent, a roof deck with sensational NYC views, gym, kids playroom, parking garage, and a cold storage room for grocery deliveries. A parking spot in the building's garage is available for purchase. Close to transportation, including the F, A, & C trains that are one stop from Manhattan.